Roulette has many betting opportunities for players, from the simple Straight bet on a single number, to the more complex multi-number bets like Corners and Double Streets. But some of the most useful bets for players are hidden behind a screen of mystery, given obscure French names that will mean very little to the casual player, but which give experienced players a great opportunity to place complex bets very quickly. There are three so-called ‘French bets’ and they describe each number’s relationship to the Zero. This bet covers the 17 numbers that lie on the wheel either side of the zero, from 22 to 25, including 22 and 25 themselves. The series is 22, 18, 29, 7, 28, 12, 35, 3, 26, 0, 32, 15, 19, 4, 21, 2, 25. Sometimes just referred to as ‘Tiers’, this bet covers the third of the wheel roughly opposite the zero, from 27 to 33 including 27 and 33 themselves. The series is 27, 13, 36, 11, 30, 8, 23, 10, 5, 24, 16, 33. The ‘Orphans’ bet covers the two sections of the wheel not included in either the ‘Voisins du Zero’ or ‘Tier’ bets, and consists of the numbers 17, 34, 6 and 1, 20, 14, 31, 9. The great advantage of the French bets is that they allow you to place multiple bets with just one bet. Simply place your chip on the required section (usually found above the main betting board) and the croupier (or software) will do the rest. Voisins – requires nine betting units, which are placed as follows: 2 on the 0, 2, 3 trio; 1 on the 4/7 Split; 1 on 12/15; 1 on 18/21; 1 on 19/22; 2 on the 25-26-28-29 Corner; and 1 on 32/35. Any winning bet will see a return of at least twice the original stake. Tiers – covers 12 numbers with just six units staked – 1 chip is placed on each of the Splits 5/8, 10/11, 13/16, 23/24, 27/30 and 33/36. Any winning bet will pay the player three times their initial stake. Orphelins – covers the numbers 17, 34, 6 and 1, 20, 14, 31, 9 with just five units staked – 1 chip is placed as a Straight on 1 and 1 chip is placed on each of the Splits 6/9, 14/17, 17/20 and 31/34. Any win on ‘Orphelins’ is guaranteed to pay out at least double the original wager. The French bets are not the preserve of the Monte Carlo elite – they’re available to all Roulette players, online and offline, and can only enhance your enjoyment of the game. Next time you’re at the table, why not try them out? 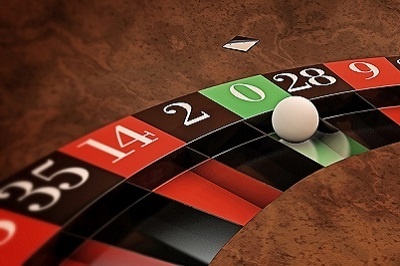 Our complete guide to Roulette gives you the lowdown on all the Roulette bets. Check it out if you need a reminder.